I am relaxed about how we do things but this gives you idea of our timeline together and plants those seeds about decisions you will need to make a long the way. Swap Numbers : I’m now on your wedding team and available via email or Watsapp to answer any questions along the way when they come up. Book : I send you an agreement (which is a formal agreement & tells you exactly what you are buying from me) & I take a 25% non-refundable deposit to secure the date. Couple shoot/3rd wheeling : Either after booking or closer to the wedding date (say 1/2 months) get in touch and we’ll sort out a date one afternoon in the week meet and have a date - Click for more information. 3rd Wheel Photos : I send you about 20 photos from our meeting and you are pleasantly surprised at how lovely, natural and relaxed you both look considering you didn’t pose and rather enjoyed the whole experience. Final Details : By now we’ll have chatted lots about the things you have to think about - About a month before your wedding date I will send you a Final Details Questionnaire to confirm these details including group shots, timings and supplier details (So I can share images with them after and you don’t have to) - Click to have a sneak preview of this. Final Payment : Along with the Final Details, I will send you an invoice for the remaining balance which needs to be paid before the wedding date. Generally ignore me, loose yourself in the day and I’ll come and get you when required. We’ll have discussed the day and I’ll understand when the best time are to slot an relaxed curated moments into proceedings. I’m always flexible we can do (and I often do) it anyway that suits individuals. 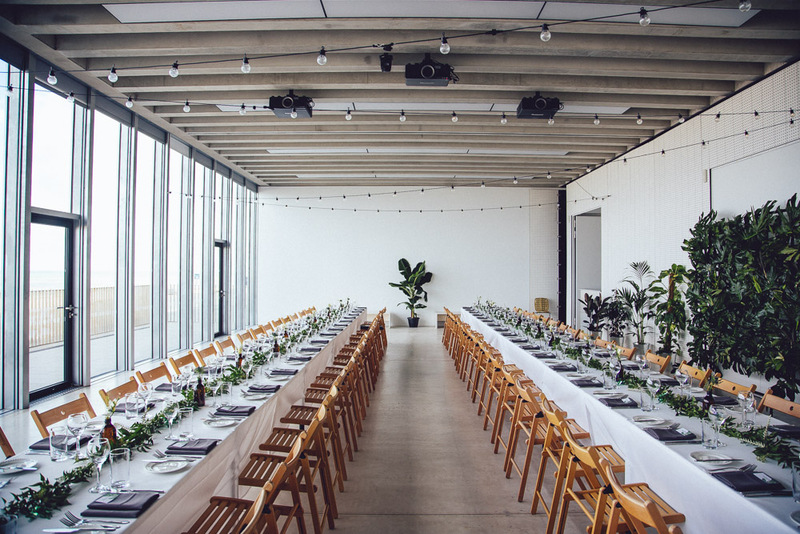 This guides you through Anna & Reece’s Margate wedding to give you an idea of things we will think about. I check out the venue : I will travel down the night before if it’s far away to avoid traffic issues. I will suss out the venue and some nice spots to walk to for photos generally in the morning. When possible I’ll take photos of the dressed rooms too and the setting. If you live far away, we might do our 3rd wheeling the day before. I Arrive : I join one of you in the morning, about an hour and a half before you need to leave for the ceremony or can dip in and out of both if the venue allows for this. I just settle in, start quietly documenting the day, take some photos of details and introduce myself to those their. When your ready I’ll put you in some lovely light looking splendid and we’ll head off. Travel : Sometimes I’ll jump in a cab with the wedding party, other times I’ll leave a little earlier, I will capture you before the ceremony. 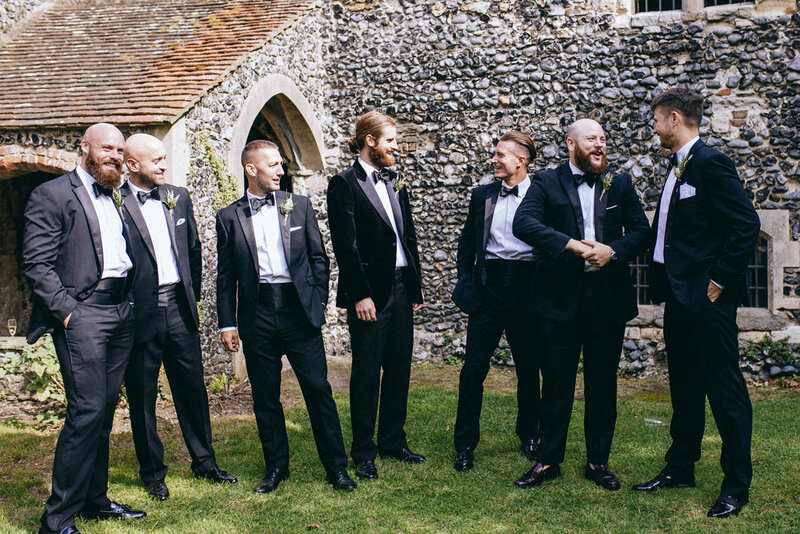 The Ceremony : I will talk to the celebrant and decide where to stand, generally I stand near the front to the side and quietly move about a bit. Drinks reception : There’s an elated period where you’ve just got married, enjoy. I’ll capture it. Informal Group photos : After half an hour or so (weather/timings dependent) I’ll come and pull you away from a few informal family/groups photos somewhere close by with a lovely backdrop. This will be 10/20mins, I tend to encourage you to keep lists to either sides of the families and parents. Confetti : We can chat about the logistics of putting in little moments for photos of you together. Confetti whilst leaving one venue to go to the other or we can create a little tunnel with your guests or none at all. Couple Photos 3rd Wheeling : We’ll slot these little breaks into your day 1/2 5-10 mins around nice light. We have a walk, you guys have a moment away and you can always decide to stay with your guests. Dinner : Everyone heads in to eat, please feed me, I’m an annoying gluten free girl (sorry :)) if there’s space I love to sit with you all and it encourages people to really relax around me…This is also my break. Speeches : Before or after dinner, if you can think about space for me to walk around quietly capturing the speakers and guests. Mini Adventures | Golden light : Depending on the timings of the day and the weather I often take take you both, bridesmaids, groomsmen for a little wander (Drinks in hand if you’d like), again, will put you in lovely light, have some fun then send them away & take some of the two on your own. Traditional bits/ Untraditional bits : Cake cutting/ First dances or any other wonderful event, let me know the rough times and I’ll be there to capture the moment, with direction where you require. Documentary : All day until the end I will be blending in, absorbing the atmosphere and capturing the day and all the little moments and details. I just blend in, guests feel comfortable around me and I capture all the lovely feels of your day. 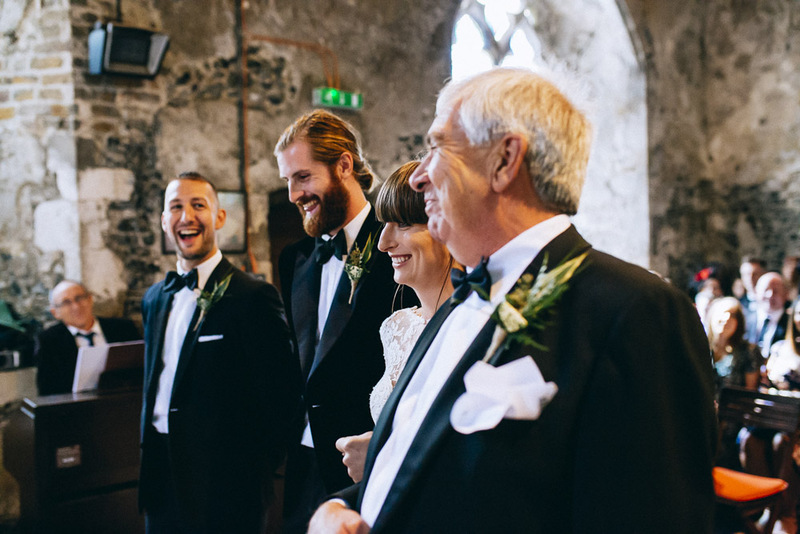 These images were all taken at Anna & Reece’s Margate wedding…who seemed quite pleased. It was such a pleasure to have you with us!! I felt like I had known you for years you just slotted in perfectly!! There are no dos and don’ts about a Curious Rose Wedding. We will get creative...I have captured weddings when the couple get ready together, arrive together, have no aisle and no family photos and then others that tick all the traditional boxes. It’s about doing what you are comfortable with and thinking creatively so our photography plan suits you as individuals. It will always be conducted in a relaxed & flexible way, sometimes altered by the mood or weather of the day. 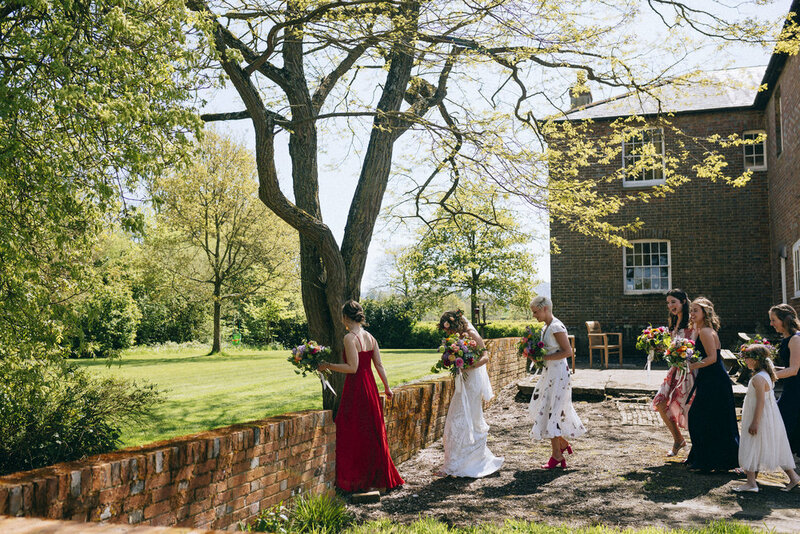 "Her photography style is so unique, it captures everything about the day we wanted for the romantic, relaxed yet intimate wedding we had organised. In the nicest way I hardly saw Laura in the day, with her taking the photos without being obtrusive and we could relax and enjoy the day knowing Laura was capturing all elements and results were stunning. I can’t say enough good things, highly recommended and just a lovely, fun and trustworthy person to have alongside your nearest and dearest for what was a dream day. Thank you Laura." My background is art and am am incredibly passionate about the importance of creativity in the way we live and express ourselves. I photograph and edit artistically, always trying to capture more than the visual experience but the fun, vibrance and romance of you both. This is so much more than capturing one day, I'm looking for the love, the stories, the other relationships and celebrations of love and life that makes these days SO mega special and significant. Romantic & Vibrant are two other lovely words that I have heard in reference to my photography style which are just wonderful. Romantic, I think a couple feeling comfortable around me and present of their wedding day is what enables me to capture romance. When people are relaxed, happy and elated it just seems to come out and I'm there to catch it which is just magic. It's all the tiny moments, the thoughtful gestures, the meaningful relationships that I understand. "One of the best tips of advice for our wedding was to get a photographer who gets you. Laura did just that. 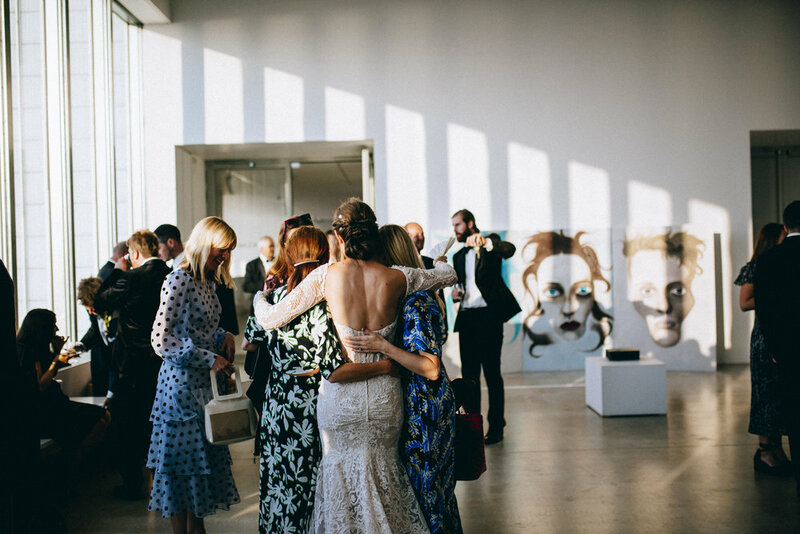 Furthermore her brilliant way of connecting with both ourselves and our guests in a relaxed manor made for captures of timeless un-staged, in the moment photographs. These incredible documentary style photographs are true gems that were exactly what we were wanting. "We had an engagement shoot a few months before the wedding and Laura made us feel so comfortable and got some great photos without us really feeling like we were posing. On the day Laura blended in to the wedding and a lot of the time you didn't even realise she was taking photos! She is also a lovely person and all our guests commented on how lovely she was which puts everyone at ease. 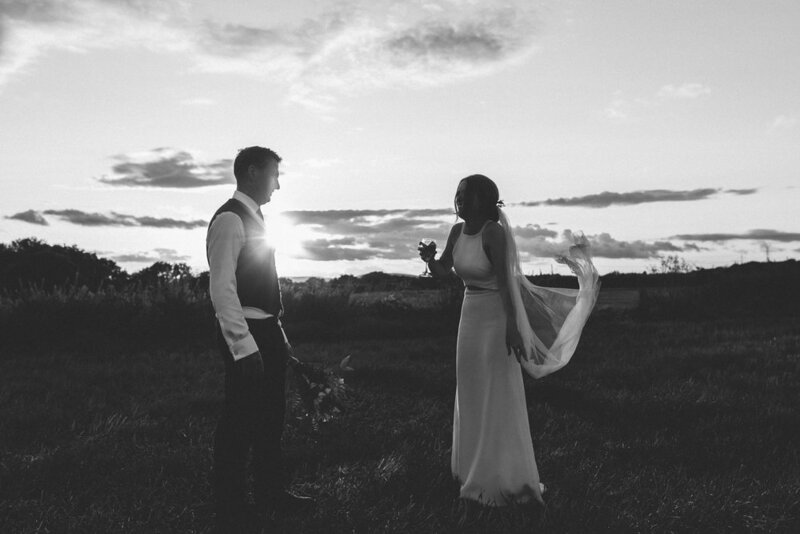 We are so happy with the photos and would recommend Laura a million times!" Vibrant...I LOVE colour...particularly GOLD. It's so expressive, the colours you choose for your day are so expressive of who you are. I believe I edit photos to express how I see and feel the day. Well this is nice to hear. The only thing I love more than creativity and photography is people. They are my motivation to create and this all started by photographing the hell out of my friends and family, who really are the most important thing in my life, I am so proud of my relationships. I hear a lot comments of how much I engage with clients, I practice yoga and meditation to be calmer, more present, positive and full of love to help the people around me. So I guess that helps....MOST of the time. You'll be glad to know I swear and have bad days, but I genuinely get such joy getting to know the people I work with and supporting them and enhancing a really special time in their lives.